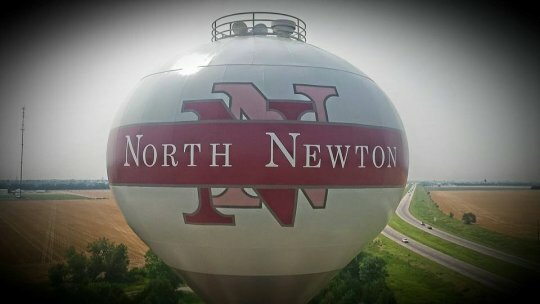 North Newton has a promotional video that is being aired on KPTS. Click on the following link to watch the video. The North Newton Community Foundation was formed in December 2011 and is affiliated with the Central Kansas Community Foundation. The goal of the foundation is to establish a means to benefit a wide variety of non-profit organizations in their efforts to improve health care, human services, education, arts and culture or other charitable initiatives which enhance the North Newton community. NORTH NEWTON COMMUNITY FOUNDATION GRANT CYCLE - The North Newton Community Foundation Grant Cycle is now open and closes April 3 at 5:00 pm. To apply for a grant, go to centralkansascf.org. The NNCF plans to award approximately $8,800 during this grant cycle. INTANGIBLES TAX - North Newton continues to levy an intangibles tax - a 2% tax on interest and dividend earnings. Kansas Tax Form 200 must be filed with the County Clerk's office by April 15, 2019. Click here for Local Intangibles Tax Return Form 200. SPRING CLEAN UP WEEK is scheduled for April 8 - 12. For detailed information please review Spring Clean Up instructions. MAYOR AND COUNCIL ELECTIONS - On Tuesday, November 5, 2019 registered voters of North Newton will have the opportunity to vote on two city council positions and the mayoral seat to four-year terms. Council members Ron Ratzlaff and Paul Harder as well as Mayor Ron Braun will be completing four year terms. Those interested in running for one of these positions can stop by City Hall to pick up a candidate filing packet. The deadline to file to run for these positions is at noon on June 3rd. Candidates must file the completed paperwork with the County Clerk at the courthouse. SOUTH CENTRAL RECYCLING delivered a supply of trash and recycle bags at the end of December. These bags are to be used for your household trash and recycling materials only - not to bag leaves, grass clippings and other unintended purposes. Once you run out, you will need to purchase your own bags until South Central Recycling delivers the next supply. CALL 911 for any emergency, including reporting an after-hours maintenance issue such as a water main break or sewer back-up. The appropriate law enforcement officer, emergency service personnel or city staff will be dispatched.